With spectacular coastal views and a brilliant atmosphere, although we cannot guarantee the weather, we can guarantee a superbly organised event with plenty of support on the route and an army of enthusiastic volunteers to make it a great day for all taking part. All participants will receive a t shirt, medal and goody bag. There is also limited parking, baggage services and plenty of fun activities for those not taking part. 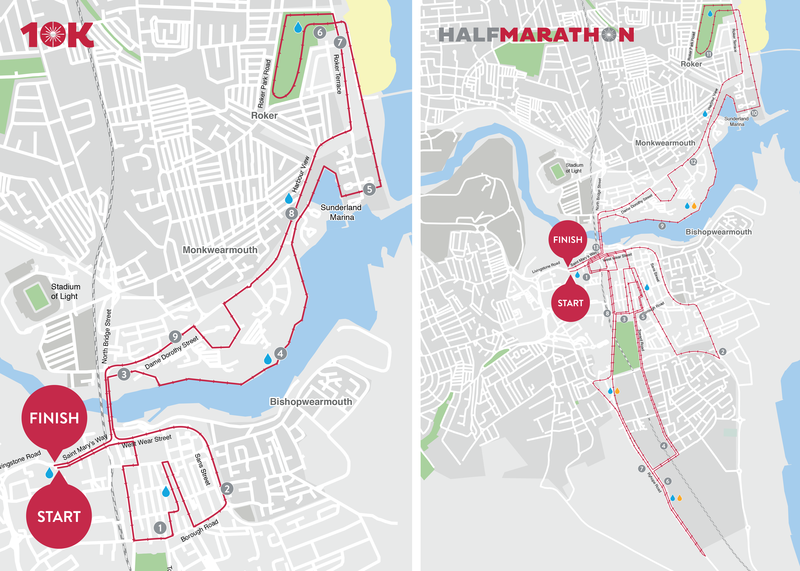 The course does take you along public roads, but they will all be closed/segregated to traffic for the duration of the race - there will be course signage and marshals at all key junctions to ensure you don’t get lost. Water stations will be available throughout the route for all runners and each runner will be provided with water on completion of the course. Full car parking details will be updated nearer the event, there will be limited specific parking sign posted as EVENT CAR PARKING location TBC. 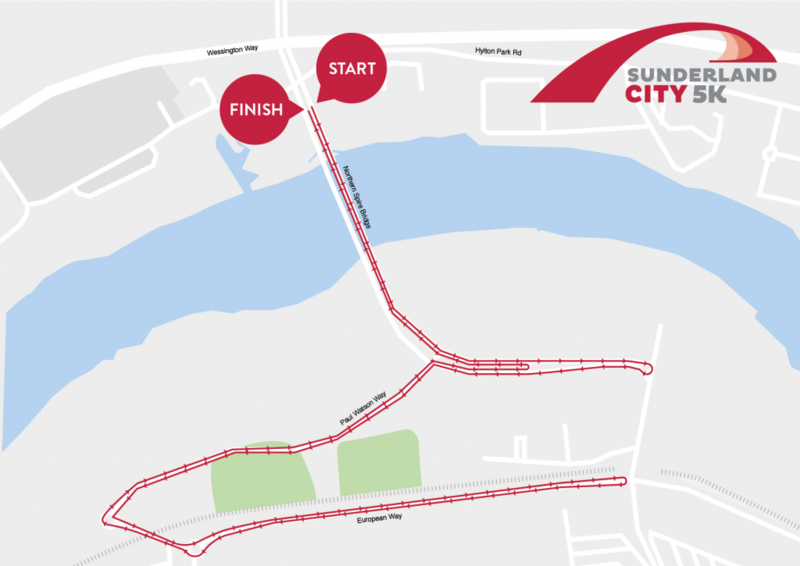 There are additional car parks within a mile of the start that will be open for runners; the Civic Centre Car Park (accessible from Cowan Terrace, £2 charge), Sunniside Car Park (£1.50 all day fee) and the Bridges Car Park (£1.50 all day fee). Please note St Mary’s Car Park and Livingstone Road Car Park will not be accessible on race day. Which event should I do? Children over 16 can enter the 10K or over 17 can enter the half marathon. No. All that we ask is that any participant unsure of their physical ability to take part should seek medical advice from a general practitioner prior to the event. I haven’t run in a proper race before? Can I still enter? Absolutely! This event is just for you. It may be advisable to try a few shorter runs before the event, it’s not a race against the clock but a fun and safe way for you to find out how enjoyable running is and to hopefully start you running regularly. How was Sunderland City Half Marathon & 10K? Hi there. Just to let you know that there will be limited free event parking so we advise arriving early for this. Otherwise there are additional car parks within a mile of the start that will be open for runners; the Civic Centre Car Park (accessible from Cowan Terrace, £2 charge), Sunniside Car Park (£1.50 all day fee) and the Bridges Car Park (£1.50 all day fee). Please note St Mary’s Car Park and Livingstone Road Car Park will not be accessible on race day.